The Dominion of Pakistan (Bengali: পাকিস্তান অধিরাজ্য pakistan ôdhirajyô; Urdu: مملکتِ پاکستان‎ mumlikāt-ē pākistān), commonly called Pakistan, was an independent federal dominion in South Asia that was established in 1947 on the Partition of British India into two sovereign countries (the other being the Dominion of India). The dominion, which included much of modern-day Pakistan and Bangladesh, was conceived under the two-nation theory as a home for the Muslims of the former British India. To begin with, it did not include the princely states of Pakistan, which acceded slowly between 1947 and 1948. In 1956 the Dominion of Pakistan was administratively split into the western wing named West Pakistan, and the province of East Bengal was renamed as the eastern wing named East Pakistan. 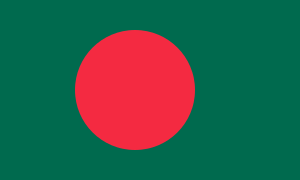 In 1971 East Pakistan seceded from the union to become Bangladesh. Section 1 of the Indian Independence Act 1947 provided that from "the fifteenth day of August, nineteen hundred and forty-seven, two independent dominions shall be set up in India, to be known respectively as India and Pakistan." India was treated by the United Nations as the successor state to the former British India. As it was already a member of the United Nations, India continued to hold its seat there and did not apply for a new membership. However, Pakistan was a newly created nation and needed to apply to join. 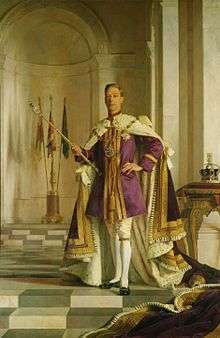 It was admitted as a UN member on 30 September 1947, a few weeks after its independence The British monarch became head of state of the new dominion, with Pakistan sharing a king with the other Commonwealth realms, but the monarch's constitutional roles were delegated to the Governor-General of Pakistan, and most real powers resided with the new government headed by Jinnah. Before August 1947, about half of the area of present-day Pakistan was part of the British-administered British India, in which the agents of the sovereign as Emperor of India had full authority, while the remainder was a series of princely states in subsidiary alliances with the British, enjoying internal self-government. The British abandoned these alliances in August 1947, leaving the states entirely independent, and between 1947 and 1948 the states all acceded to Pakistan, while retaining internal self-government for several years. The dominion began as a federation of five provinces: East Bengal (later to become Bangladesh), West Punjab, Balochistan, Sindh, and the North-West Frontier Province (NWFP). Each province had its own governor, who was appointed by the Governor-General of Pakistan. In addition, over the following year the princely states of Pakistan, which covered a significant area of West Pakistan, acceded to Pakistan. They included Bahawalpur, Khairpur, Swat, Dir, Hunza, Chitral, Makran, and the Khanate of Kalat. The controversial Radcliffe Award, not published until 17 August 1947, specified the Radcliffe Line which demarcated the border between the parts of British India allocated to India and Pakistan. The Radcliffe Boundary Commission sought to separate the Muslim-majority regions in the east and northwest from the areas with a Hindu majority. This entailed the partition of two British provinces which did not have a uniform majority — Bengal and Punjab. The western part of Punjab became the Pakistani province of Punjab and the eastern part became the Indian state of Punjab. Bengal was similarly divided into East Bengal (in Pakistan) and West Bengal (in India). The Radcliffe commission had no power to divide the territory of the princely states of India. 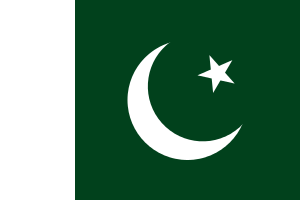 Pakistan ceased being a dominion on 23 March 1956 on the adoption of a republican constitution. However, Pakistan became a republic within the Commonwealth of Nations. The Queen visited Pakistan as Head of the Commonwealth in 1961 and 1997, accompanied by Prince Philip, Duke of Edinburgh. Pakistan left the Commonwealth in 1972 over the issue of the former East Pakistan province becoming independent as Bangladesh. It rejoined in 1989, then was suspended from the Commonwealth twice: firstly from 18 October 1999 to 22 May 2004 and secondly from 22 November 2007 to 22 May 2008. ↑ Timothy C. Winegard (29 December 2011). Indigenous Peoples of the British Dominions and the First World War (1st ed.). Cambridge University Press. p. 2. ISBN 978-1107014930. Retrieved 11 August 2013. ↑ Singh Vipul (1 September 2009). Longman History & Civics Icse 10. Pearson Education India. pp. 132–. ISBN 978-81-317-2042-4. ↑ "The Coronation of Queen Elizabeth II". Retrieved 16 May 2014. ↑ John Stewart Bowman (2000). Columbia chronologies of Asian history and culture. Columbia University Press. p. 372. ISBN 978-0-231-11004-4. Retrieved 22 March 2011. Chester, Lucy P. (2009) Borders and Conflict in South Asia: The Radcliffe Boundary Commission and the Partition of Punjab. Manchester: Manchester University Press. Read, A. and Fisher, D. (1997). The Proudest Day: India's Long Road to Independence. New York: Norton.